For many people, Fall is a magical season. Leaves began turning beautiful hues of yellow, orange and red and juicy apples are ripe for picking. Shouts of joy as fans cheer their football teams on can be heard and Mothers are dressing their children for Fall pictures in the pumpkin patch. The aroma of apple cider and hot cocoa with mini marshmallows permeates the air along with the aromatic scent of crisp wood burning in a bonfire. The team at Sleek & Williamson has put together our favorite Top 5 Fall traditions, craft ideas and recipes for you and your family to enjoy! 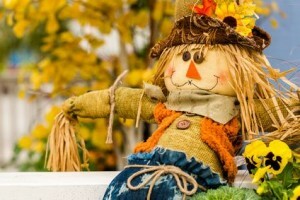 Fall is a great time to ease into some fun, creative crafts that can also double as home decorations. Here are a few top picks to help you welcome Fall! Nothing smells better than an apple pie or a hearty beef stew on a cool Fall day! Here are our top 5 recipes to enjoy this Fall! While you and your family are enjoying the magic of the season, you may encounter inclement weather. Stay safe on the roads and remember that no that matter what life situation crosses your path, you can depend on the team at Sleek & Williamson to have you covered! If you have any questions regarding auto insurance or other lines of insurance coverage, please give us a call today at (770) 489-2403 or visit us here.